Alexalis Gaines | That Was an Accident! Once a monk of the Scarlet Monastery, Alexalis never expected to wake in the service of the Dark Lady. 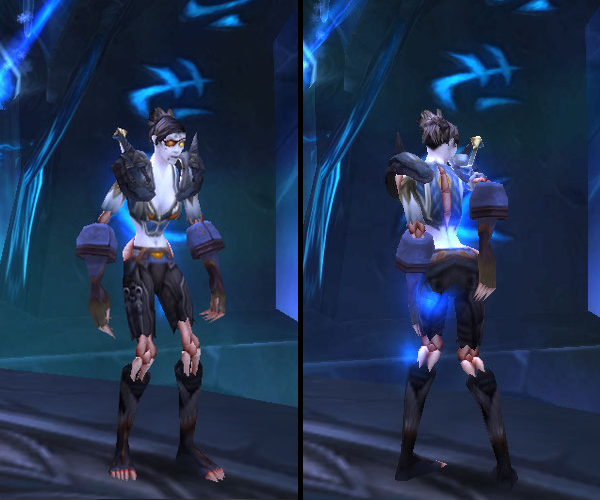 As a Forsaken created by the Val’kyr, she serves the Dark Lady not out of love, but a lack of other options. All she knew and believed in while alive now torments and persecutes her; she can no longer visit the places she loved nor work with her former allies, as she has unwittingly and unwillingly become they very thing they swore to cleanse. She seeks a new sense of balance now, to find a path to the middle road she left as a human, long ago.